ver six decades, Elaine Lustig Cohen (1927-2016) moved among diverse activities including art, design, and rare book-dealing note Prem Krishnamurthy and Cole Akers, the guest co-curators of the stunning exhibition Masterpieces and Curiosities: Elaine Lustig Cohen which is going strong all through August 2019, featuring over 30 works by the pioneering graphic designer and artist. 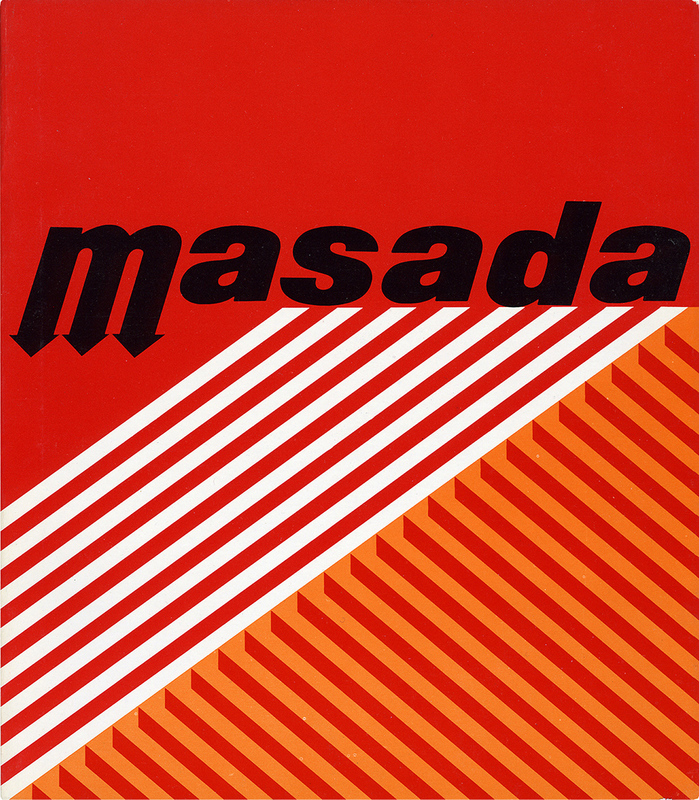 "She began her career as a graphic designer in the mid-1950s, extending the vocabulary of European Modernism—Constructivism, Dada, and the Bauhaus— into an American context for publishers, architects, and cultural institutions. 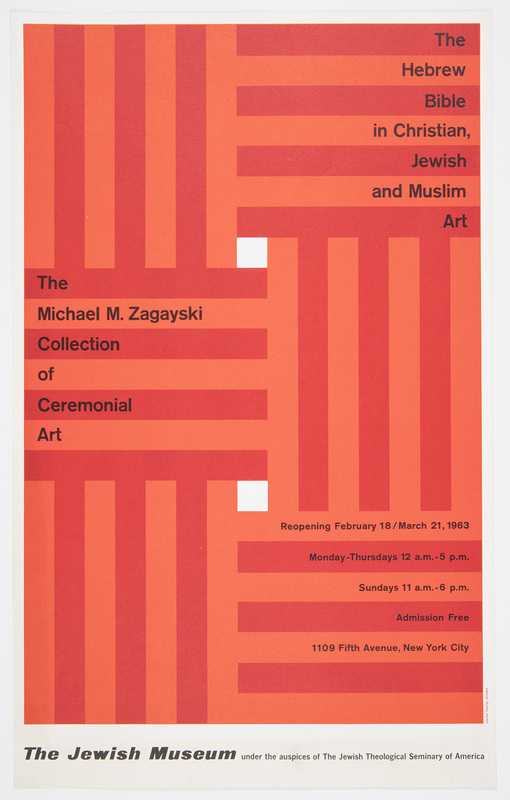 From 1962 to 1967, she helped shape the Jewish Museum’s institutional identity, directing the design of catalogues, posters, booklets, and other printed material for its progressive exhibition program. At the same time, Lustig Cohen developed a hard-edge style as a painter. With a formal language of solid colors, abstract geometric shapes, and minimally visible brushstrokes, her paintings directly relate to her design work and to the movement called Postpainterly Abstraction. Lustig Cohen’s artistic contributions demonstrate that the lineage of Postpainterly Abstraction should be expanded beyond the fine arts to include postwar graphic design" add the people responsible for the unveiling of a pioneering female force to reckon with in the male-dominated graphic design scene of the 20th century. Over six decades of practice, Lustig Cohen moved between diverse activities including art-making and rare book dealing, as well as design. Lustig Cohen extended the vocabulary of European modernism into an American context as a designer for a clientele of significant publishers, architects, and cultural institutions ever since the beginning of her career in the mid-1950s and this exhibition brings together the public sphere of her graphic design work and the private vision of her paintings, highlighting a pivotal, primary coloured voice in American visual culture of the twentieth century. 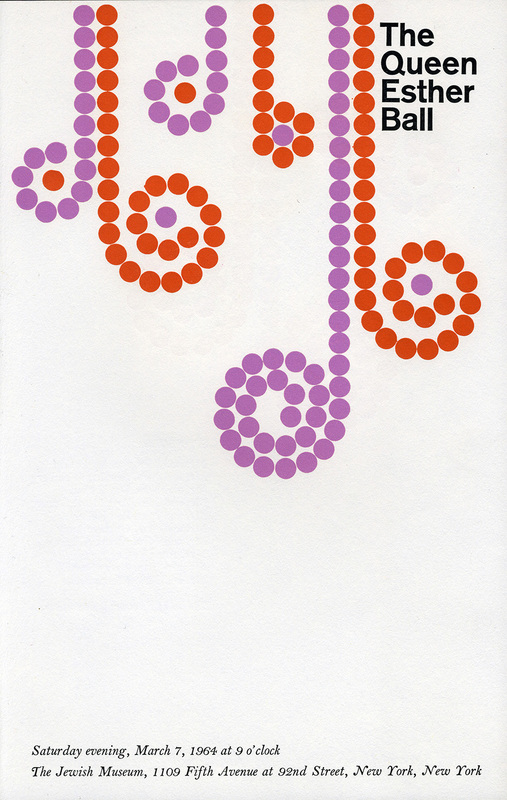 In 1955 Elaine Lustig Cohen began her career as a graphic designer with three key projects: the signage and lettering for New York City’s celebrated Seagram Building, which was designed by Ludwig Mies van der Rohe with Philip Johnson; brochures for the Girl Scouts of America; and book jackets for Meridian Publishers. Drawing on her knowledge of modern typography and avant-garde design principles, such as asymmetrical composition, dramatic scale, and image montage, Lustig Cohen forged a distinctive graphic voice. For book jackets, she described her process as one of distillation in which she would identify the central ideas of the text and render them abstractly with bold lettering, expressive forms, and playfully collaged photographic elements. From 1962 to 1967, she helped shape the Jewish Museum’s institutional identity by directing the design of printed ephemera and catalogues for a program of art exhibitions that was among the most progressive in the nation, including the historic Primary Structures: Younger American and British Sculptors (1966) organized by Kynaston McShine. Beginning with the appointment of Alan Solomon as director in 1962, the museum built a reputation as a center for contemporary art in New York City. In the early 1960s the institution presented survey exhibitions of young artists, such as Robert Rauschenberg and Jasper Johns, who later became well known and highly successful. 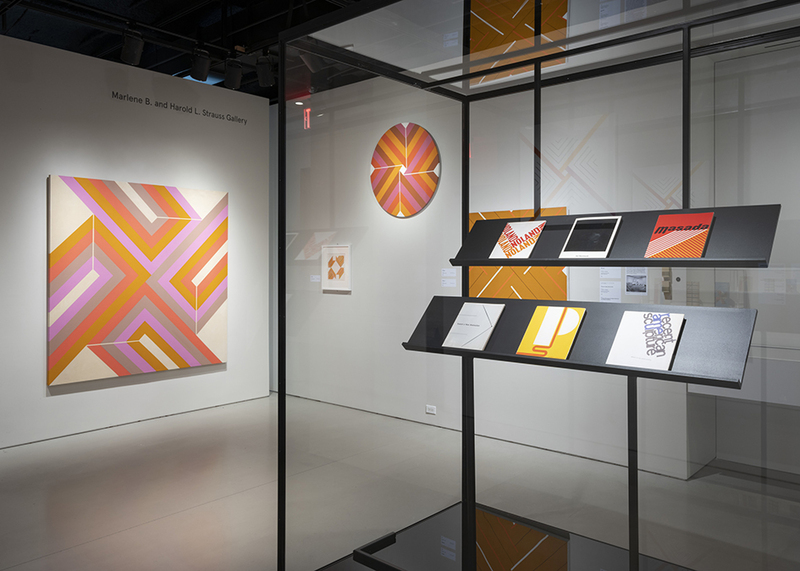 The museum recruited Elaine Lustig Cohen to develop a comprehensive graphic identity for its publications and printed ephemera that would reflect this experimental program. Lustig Cohen designed approximately twenty catalogues for the Jewish Museum including Primary Structures: Younger American and British Sculptors, the exhibition that introduced Minimalism to a broad public. 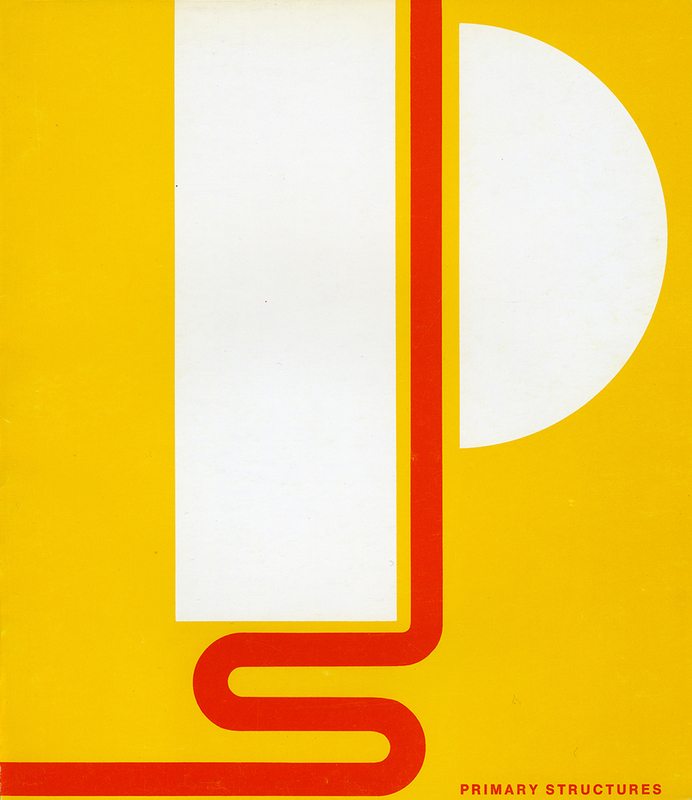 The cover features an abstracted P and a snaking red S against a vibrant yellow background, echoing the colorful materials and bold forms of the Minimalist sculptures that appeared in the show. Designs for monographic exhibitions often related more directly to the work of the artist, yet the talented Mrs. Cohen managed to maintain her distinctive design vocabulary in every aspect of her work. During the same period, Lustig Cohen developed a hard-edged style as a painter. 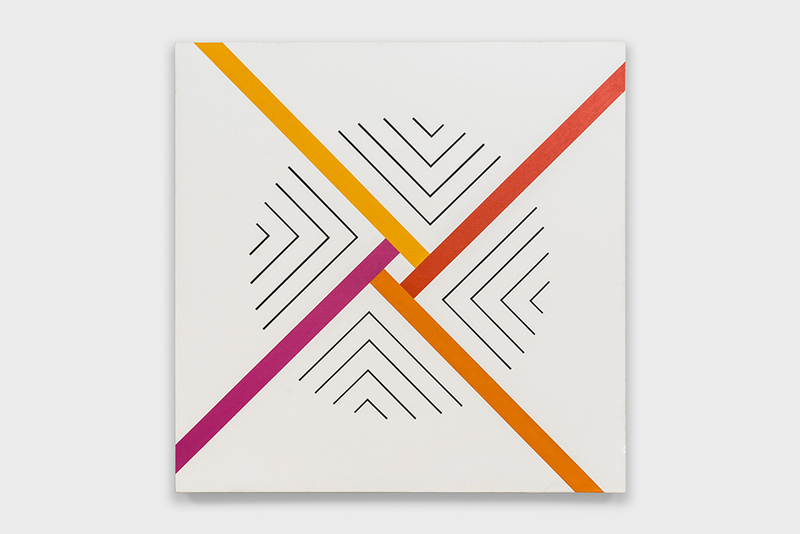 Employing a bold formal language of geometric shapes and vibrant solid colors, Lustig Cohen’s paintings relate to her design work as well as the contemporaneous practices of other artists who strove to dissolve the barriers between painting and objecthood. 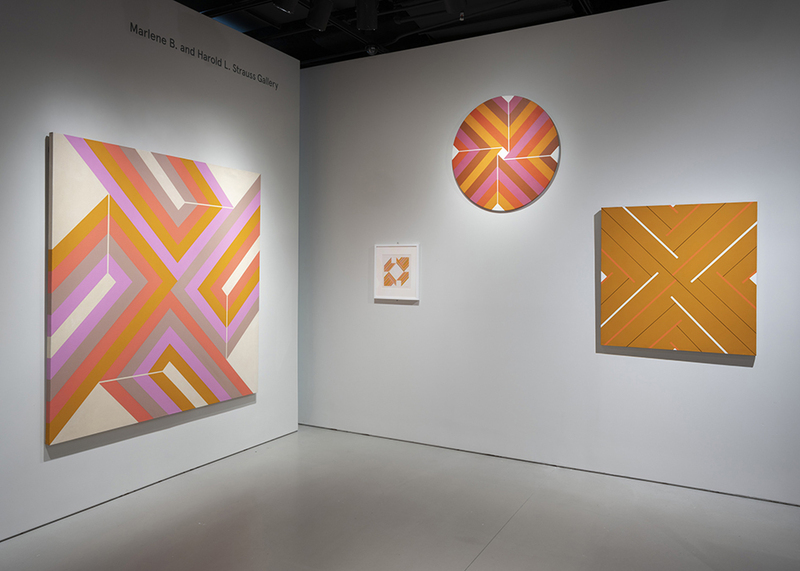 Seen in this light, her work suggests that the lineage of post-painterly abstraction — the term often used to describe the 1960s work of artists such as Frank Stella, Ellsworth Kelly, and Morris Louis — should be expanded to include not only post-war artistic movements such as Abstract Expressionism but also post-war graphic design. 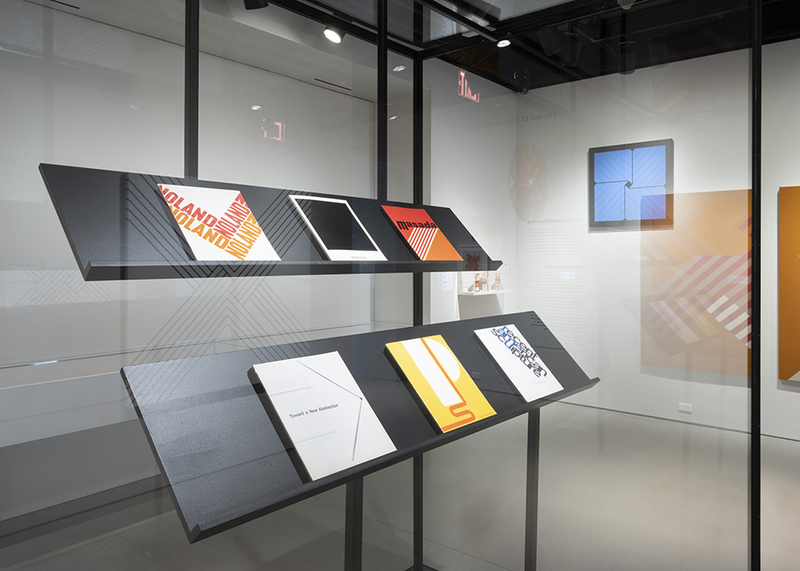 At the same time, Lustig Cohen’s ephemera and exhibition catalogues offer a window into a moment in the Jewish Museum’s history that was as lively and colorful as her designs. 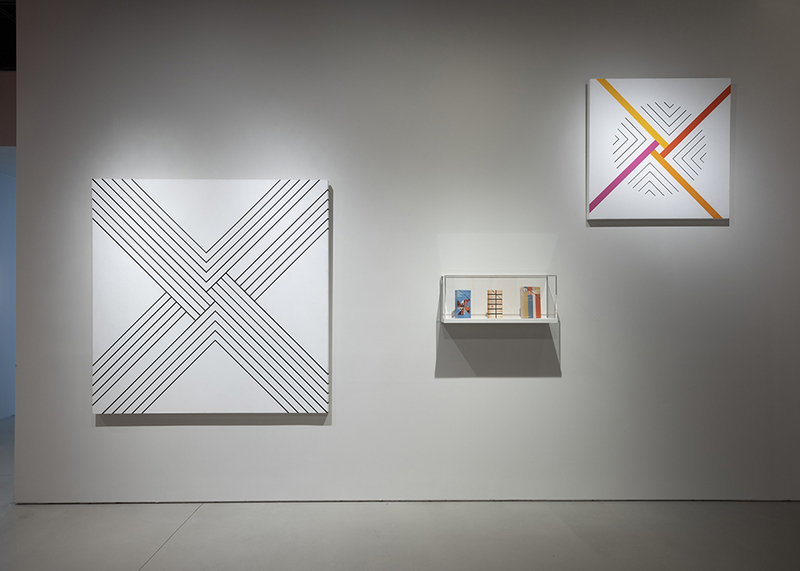 The exhibition includes six Jewish Museum exhibition catalogues: Toward a New Abstraction (1963); Recent American Sculpture (1964); Kenneth Noland (1965); Primary Structures (1966); Ad Reinhardt (1966); and Masada (1967). 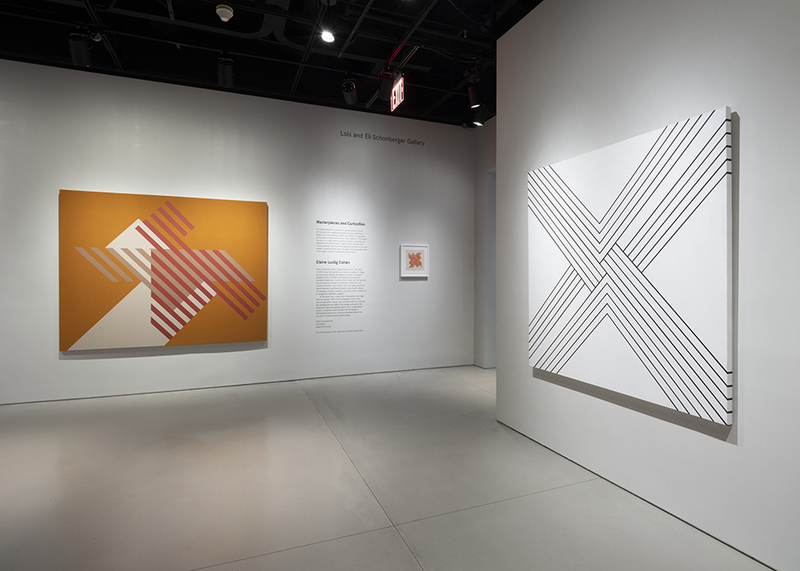 Also included are a selection of paintings from the 1960s and 1970s; approximately ten of Lustig Cohen’s typographic, abstract, and photographic book jacket designs that show her unique style and attention to content; and graphic pieces such as posters, bags, and invitations for the Jewish Museum. The exhibition is organized by Prem Krishnamurthy, Curator, K, Berlin, and Partner & Director, Wkshps, New York; Cole Akers, Curator and Special Projects Manager, The Glass House, a National Trust Historic Site; and Shira Backer, Leon Levy Assistant Curator, The Jewish Museum. An exhibition featuring Lustig Cohen’s work will also be on view at the Institute of Fine Arts, New York University at the James B. Duke House, 1 East 78th Street, from October 19, 2018 through February 24, 2019. Be enlightened enough to enter the primary coloured universe of Elaine Lustig Cohen a woman who was top of anyone's typographic game. More info here.